Parents enforce rules for their children about bedtimes, diet, chores and more, but a parenting expert says it is important to mandate how they spend time with electronics, too. 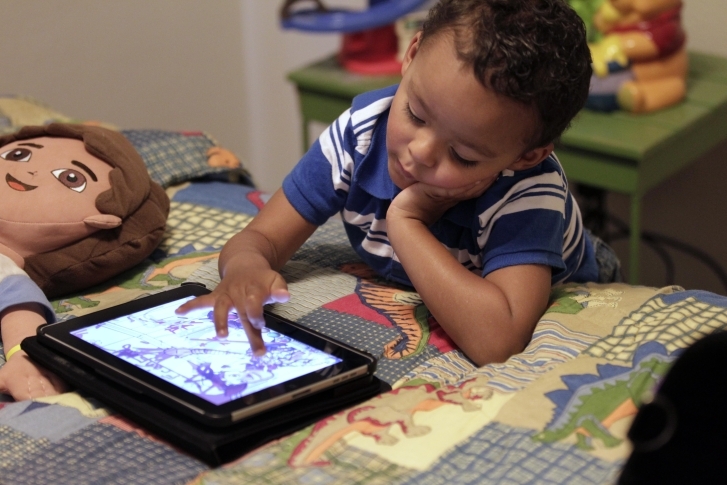 WASHINGTON — Parents enforce rules for their children about bedtimes, diet, chores and more, but a parenting expert says it is important to mandate how they spend time with electronics, too. It’s parents’ job to not only establish limits for their kids’ screen time, but also set an example of healthy electronic use, says Amy Morin, psychotherapist and About.com’s parenting teens expert. “So many parents are yelling at their kids from their couch with the TV on to shut off their phones,” says Morin, who adds that curbing kids’ tech use starts with parents. If parents don’t teach kids about limiting electronics time, kids can miss out on the real world, Morin says. Kids spend an average of seven hours a day behind screens, she adds. “Parents take kids on vacation or to the ball game and kids have their noses buried in Facebook just talking to their friends, saying ‘Hey, what are you doing?’ and carrying on these conversations and really missing out on the real world,” she says. Create “no technology zones.” It can be helpful for parents to establish areas in the house where there are no devices, such as the dining room during meals. Another option is the bedroom. “Nothing good happens at night at 3 in the morning when they are using their laptop or cellphone,” Morin says. Have unplug times. Morin suggests setting aside time for the entire family to unplug from technological devices. Around dinner is a good option. Get passwords. Having a child’s passwords to social media accounts or online accounts can help keep them safe and monitor things, such as cyberbullying. Encourage other activities. Getting kids interested in other activities outside of video games and social media can draw them away from screens. Sports, clubs and volunteer activities are popular choices. The time kids spend on technological devices is getting attention after a video on the topic has gone viral online. The video, “Look Up” tells a story technology use and the cost of an obsession with smartphones, tablets, laptops and video games. The video, which was posted on YouTube on April 25, has been viewed more than 38 million times.